The wrong Content IDs are inserted in the extension. Start by checking your existing Magento installation, to see if you already have a popup or dropdown that is shown when adding a product to the basket. 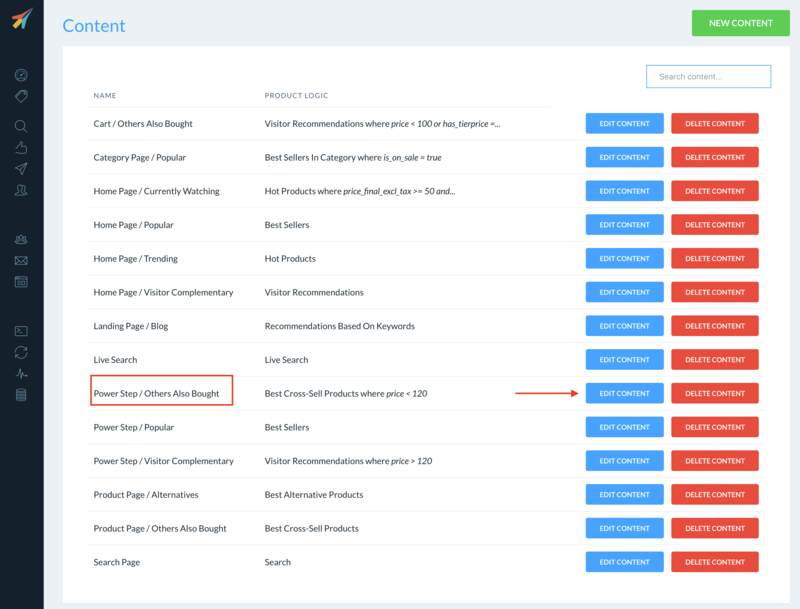 These can normally stop Clerk.io's add-to-basket step from showing. If this is the case, deactivate it and try again. 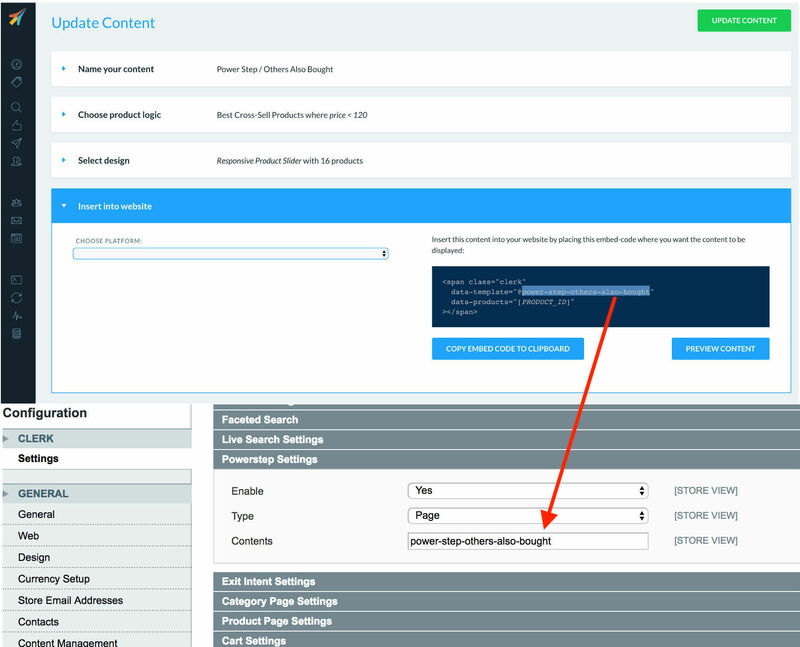 If you have no other add-to-basket popup, and your powerstep is activated but not showing, its likely because the wrong template ID*s have been inserted in the Clerk.io extensions settings. This will cause the Powerstep to fail. 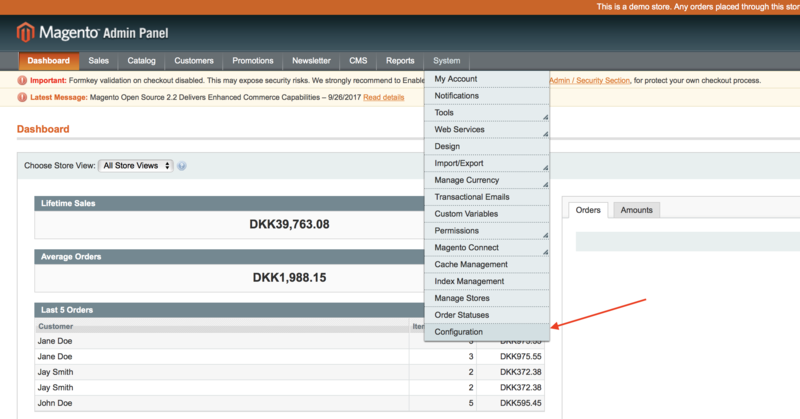 Then choose the correct Configuration Scope that matches your store. Under Power step settings, check the Templates field. This field should contain the correct ID's separated by commas, if you use more than one. To make sure your IDs are correct, log in to my.clerk.io. Choose the correct Store and go to Website Content. Click Edit Content for a slider that you want to show in the powerstep. Check the last tab "Insert into website" and locate the embedcode. 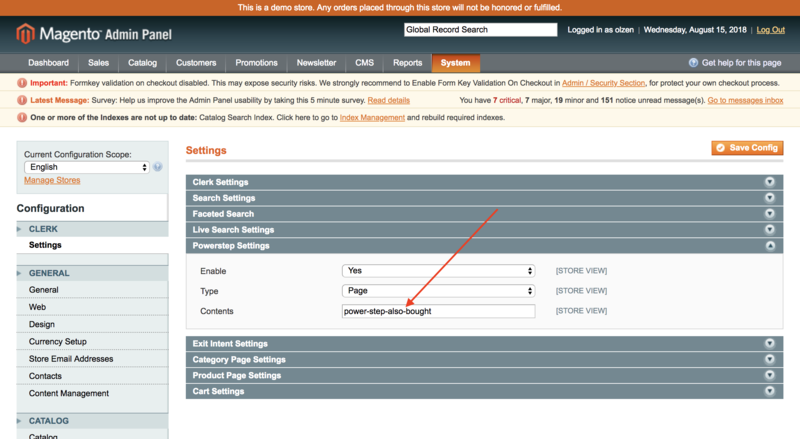 Click Save Config in the Magento extension, and the Ad should work afterwards.